One of my dreams is to give a TED talk. To have something to say that’s so powerful, so succinct, so rooted in who I am, so true, that it’s worthy of this platform. 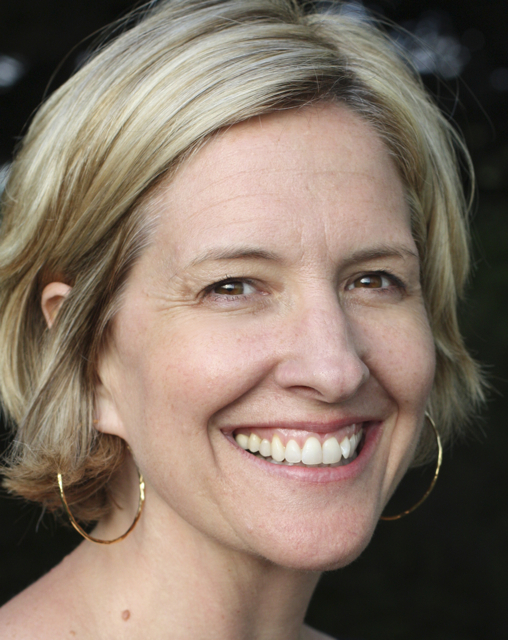 Brene Brown achieved my dream with her 2010 TED talk The Power of Vulnerability. A PhD-level licensed social worker,her research articulates and perhaps even justifies my professional choice to be so open in my public writings since last year.Her full video and transcript is easily accessible here. Below, in green, I’ve excerpted her most powerful messages of the talk. (Brene, please forgive me if I imply anything inaccurate as a result). Take a deep breath or two, and dive in. Connection is why we’re here. It’s what gives purpose and meaning to our lives…. the ability to feel connected, is — neurobiologically that’s how we’re wired — it’s why we’re here. Shame is really easily understood as the fear of disconnection. Is there something about me that, if other people know it or see it, that I won’t be worthy of connection? It’s universal; we all have it. The only people who don’t experience shame have no capacity for human empathy or connection. No one wants to talk about it, and the less you talk about it the more you have it. What underpinned this shame, this “I’m not blank enough. I’m not thin enough, rich enough, beautiful enough, smart enough, promoted enough” was excruciating vulnerability, this idea of, in order for connection to happen, we have to allow ourselves to be seen, really seen. One variable separated the people who have a strong sense of love and belonging from the people who really struggle for it: the people who have a strong sense of love and belonging believe they’re worthy of love and belonging. That’s it. They believe they’re worthy… The one thing that keeps us out of connection is our fear that we’re not worthy of connection. These are whole-hearted people, living from this deep sense of worthiness…. What they had in common was a sense of courage. And I want to separate courage and bravery for you for a minute. Courage, the original definition of courage when it first came into the English language — it’s from the Latin word cor, meaning heart — and the original definition was to tell the story of who you are with your whole heart. And so these folks had, very simply, the courage to be imperfect. They had the compassion to be kind to themselves first and then to others, because, as it turns out, we can’t practice compassion with other people if we can’t treat ourselves kindly. And the last was they had connection, and — this was the hard part — as a result of authenticity, they were willing to let go of who they thought they should be in order to be who they were, which you have to absolutely do for connection. The other thing that they had in common was this. They fully embraced vulnerability. They believed that what made them vulnerable made them beautiful. They didn’t talk about vulnerability being comfortable, nor did they talk about it being excruciating — as I had heard it earlier in the shame interviewing. They just talked about it being necessary. They talked about the willingness to say “I love you” first, the willingness to do something where there are no guarantees, the willingness to breathe through waiting for the doctor to call after your mammogram. They’re willing to invest in a relationship that may or may not work out. They thought this was fundamental. My mission to control and predict had turned up the answer that the way to live is with vulnerability and to stop controlling and predicting. Vulnerability is the core of shame and fear and our struggle for worthiness, but it appears that it’s also the birthplace of joy, of creativity, of belonging, of love. When we’re waiting for the call…. one of the ways we deal with it is we numb vulnerability… And I think there’s evidence: we are the most in-debt, obese, addicted and medicated adult cohort in U.S. history. The problem is — and I learned this from the research — that you cannot selectively numb emotion. You can’t say, here’s the bad stuff. Here’s vulnerability, here’s grief, here’s shame, here’s fear, here’s disappointment — I don’t want to feel these. I’m going to have a couple of beers and a banana nut muffin. So when we numb those, we numb joy, we numb gratitude, we numb happiness. And then we are miserable, and we are looking for purpose and meaning, and then we feel vulnerable, so then we have a couple of beers and a banana nut muffin. And it becomes this dangerous cycle. Children are hardwired for struggle when they get here. And when you hold those perfect little babies in your hand… our job is to look and say, “You know what? You’re imperfect, and you’re wired for struggle, but you are worthy of love and belonging.” That’s our job. Show me a generation of kids raised like that, and we’ll end the problems I think that we see today. And the last, which I think is probably the most important, is to believe that we’re enough. Because when we work from a place that says, “I’m enough,” then we stop screaming and start listening, we’re kinder and gentler to the people around us, and we’re kinder and gentler to ourselves. People, how beautiful and illuminating is this?!? Years ago, the connect2 Corporation tagline was “the power of connection.” (In case you ever wondered, that’s why I used to superscript the “2” in the connect2 name and logo.) I instinctively knew connection was powerful. But I could not have so powerfully articulated why. And if I could have, my explanation would not have been rooted in two decades of academic research like Brene’s. Thank you, Brene! And thank you TED for bringing her brilliance to the public! To paraphrase Brene, this past year I’ve finally been willing to let go of who I thought I should be in order to be who I am. It’s my deepest hope that by doing so, and by writing about it publicly, I foster connections, both interpersonally and intrapersonally. Based on the emails I receive in response to my writing, it seems to be working. What do Brene’s words about vulnerability, whole-heartedness, authenticity and connection spark in you?